Start to play with your best foot forward using this nifty guide. From basic ball control to more complex tactics, find out exactly how to do it! 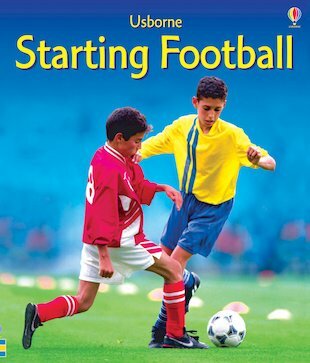 Full of lively and practical advice, this book kicks off with elementary ball skills, and then passes, tackles and heads its way on to match-playing, goalkeeping and scoring. Stunning colour photos and bright illustrations clearly show what to do, while easy exercises help you improve your skills one at a time. Packed with inspiration and winning advice, this is the book for anyone who wants to start their soccer career on the right foot!